This year’s half day Leather & Sustainability in Retail Conference will be held on Thursday 16th November 2017. 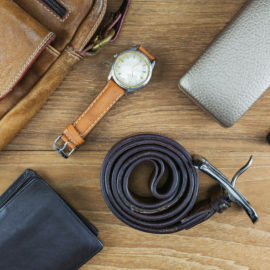 Ideal for brands and retailers, this sustainability in retail conference will showcase how companies are addressing topical and sensitive issues in the leather industry related to sustainability. 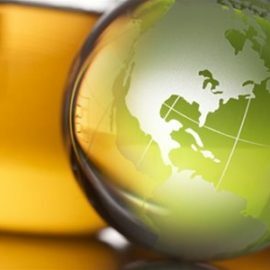 Issues to be discussed by industry leading speakers include modern slavery, supply chain transparency, forward thinking chemical management for leather supply chains, pollution hot spots and much more. #1 – Are you concerned about how your organisation is responding to modern slavery? Chris Grayer from NEXT presents ‘NEXT on Modern Slavery – The Importance of Transparency’ – an opportunity for you to see how a large international retailer identifies risk and handles modern slavery in the supply chain. #2 – Did you know that The Modern Slavery Act affects all businesses operating within the UK, including internationally based businesses? The ‘Modern Slavery Act Update’ presented by Michelle Linderman of Crowell & Moring, will keep you up to date on the latest legislation. #3 – Simon Hall from the National Wildlife Federation will present ‘Full Traceability in Cattle Supply Chains, New Opportunities in Brazil’, one of the world’s largest exporters of hides and leather, focussing on constant innovations to enhance the level of traceability available to brands and retailers. #4 – Pim Wilgenburg of Smit & zoon will present ‘Product Passport – Transparency in Chemistry’; an easy to use overview with data on the performance of Smit & zoon’s own wet-end chemicals on both leather and on the environment, giving you further information on how this new product is enhancing the leather value chain. #5 – ‘Cleaning up the Ganges: A Public Private Partnership for the Kanpur leather cluster’ will be presented by Michael Costello from Stahl. This case study will show how local authorities in Kanpur are working with leather manufacturers to reduce pollution and rejuvenate the area. #6 – Does your company have an initiative to comply with ZDHC objectives? The ZDHC Foundation is leading the textile, leather and footwear industries towards zero discharge of hazardous chemicals. Frank Michel of ZDHC will present ‘ZDHC: The Implementation Experience’, giving you the ‘heads-up’ on what your company needs to achieve and how to successfully implement ZDHC objectives. #7 – Peter Gregory from Vert-Tex will present ‘Introducing Chem-MAP – a new system to verify upstream chemical formulations’, which tackles the issue of restricted substances in the leather supply chain at the source and discover how this innovative MRSL assessment programme adds value to the leather supply chain. #8 – Grow your understanding of the different perspectives of organisations in the leather supply chain through the Open Panel Discussion – ‘Sustainability: The Big Picture’ – Sponsored by TFL. The panel includes representatives from TFL, LVMH, Marks & Spencer, ASOS and Crowell & Moring. The Leather & Sustainability in Retail Conference 2017 is sponsored by Stahl, Smit & zoon and TFL, and is supported by Lonza. 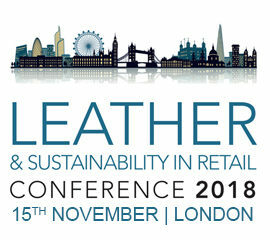 The half-day conference will be held on Thursday 16th November at One Great George St., Westminster, London and is jointly organised by BLC Leather Technology Centre Ltd (BLC) and International Leather Maker (ILM). ← Do You Know How Modern Slavery Impacts Your Supply Chain? Stuck Trying to Map Your Supply Chain?